Collin County’s District Attorney will have a new face at the helm beginning January 2011. 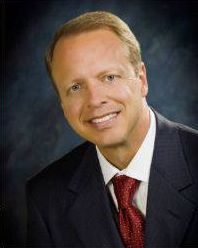 Two term District Attorney John Roach has announced that he will not be seeking re-election. Following that announcement, several candidates have announced their intentions to run for the position. The Collin County District Attorney is charged with prosecuting all Felonies and Misdemeanors within the County. There are about 60 attorneys that work for the elected District Attorney, along with support staff and investigators. All candidates are running in the Republican primary, with the exception of Rafael De La Garza, who is running as a Democrat. Greg Willis recently resigned as the judge of Collin County Court Six in order to run for District Attorney. Mr. Willis served as a judge for the court after being appointed in 2006 until his recent resignation. Prior to being a judge, Mr. Willis opened his own law firm in Plano, and his wife Jill (now a district judge) joined him at the firm. The Willis Law Firm was a general law practice, handling primarily criminal, employment and family matters. During this time, Mr. Willis served as President of the Collin County Bar Association and was twice named a SuperLawyer® by Texas Monthly. Mr. Willis also previously worked as a prosecutor at the Collin County District Attorney’s office, and at the law firms, Haynes & Boone, LLP and Jones Day LLP. A fifth generation Texan, Mr. Willis has stated that "[m]y experience as a judge, prosecutor, and attorney will enable me to serve in an effective manner from day one. As your District Attorney, I vow to aggressively prosecute crimes against children, sexual and domestic assaults, and drunk driving. Together we can keep Collin County safe, secure, and prosperous." More about Greg Wills can be found on his campaign website, www.gregwillis.org. Jeff Bray currently serves as the Senior Legal Advisor to the Plano Police Department. He has 11 years experience as a prosecutor, and is Board-certified in Criminal Law by the Texas Board of Legal Specialization. Mr. Bray is a fifth generation Texan and graduate of Texas A&M. Mr. Bray has vowed to use smart prosecutions and his relations with local law enforcement to make the office more efficient. He has also taken aim at white collar crime, and especially identity thieves, vowing mandatory jail time for those offenders. "I love my job at the Plano Police Department, but I am a prosecutor at heart. A man is lucky indeed if he can find a job that he loves and that also allows him to give back to his community. For me, that job is Collin County Criminal District Attorney." More about Jeff Bray and his plans for the office can be found at www.brayforda.com. 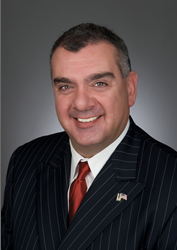 James Angelino is an attorney currently in private practice, but spent much of his career in law enforcement. Mr. Angelino was an Assistant District Attorney in Denton for 11 years, and personally prosecuted more than 190 criminal cases to a verdict. He created and oversaw a DWI Prosecution Unit and personally provided hundreds of hours of advanced training to prosecutors and police officers around the state. Mr. Angelino was also a Dallas Police officer prior to his career as an attorney. He was decorated twice for saving lives as a police officer, and he was awarded the Bronze Star, among other commendations, for his service in Iraq as a U.S. Army officer following the attacks of September 11, 2001. ""The D.A.’s office is no place for on the job training. Never before have the challenges to public safety and our quality of life been greater. My experiences as a police officer, a soldier and prosecutor have given me a unique perspective about what it takes to protect the public from crime." More about Mr. Angelino can be found on his campaign website at www.angelino4da.com. 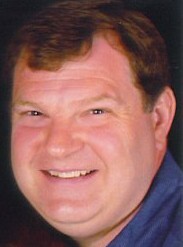 John Eric Reed is an attorney in private practice, and small local Business Owner since 1996. He has practiced criminal defense (Trial and Appellate), white collar crime, organized crime, DWI and general criminal defense and constitutional rights law. Mr. Reed is also a former Dallas Assistant District Attorney and former Special Assistant US Attorney. More about Mr. Reed can be found on his facebook campaign page which can be found under, "John Eric Reed for Collin County District Attorney." Rafael De La Garza is an attorney in private practice and Board Certified in Criminal Law by the Texas Board of Legal Specialization. Previously, Mr. De La Garza became a prosecutor with the Dallas County District Attorney’s Office under the tenure of John Vance. After his tenure at the Dallas District Attorney’s office, De La Garza was named Assistant United States Attorney for the Western District where he was recognized for handling tough drug and gang prosecutions and for his leadership and keen ability in coordinating multi-agency federal investigations. "I plan to apply what I’ve learned both at the federal and state level to prosecuting cases and seeking justice as the Collin County District Attorney"
More about Rafael De La Garza can be found on his campaign website www.delagarzaforda.com.